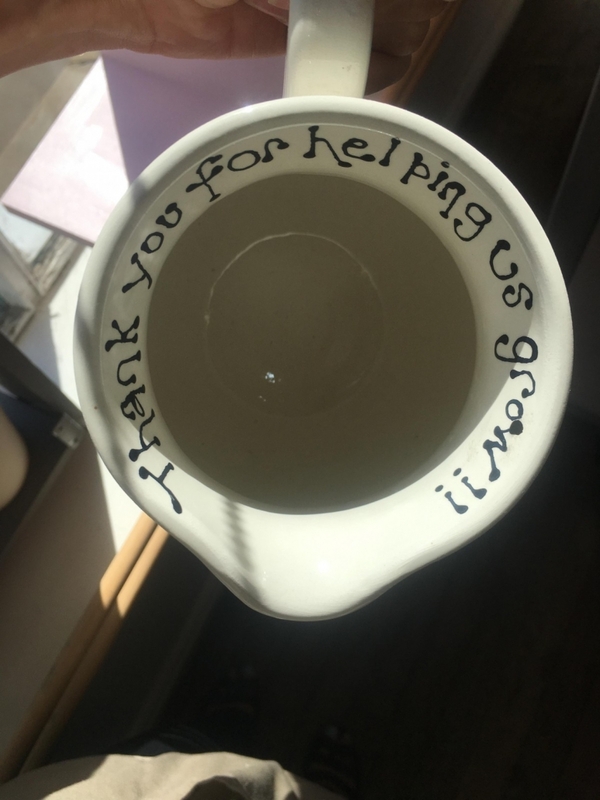 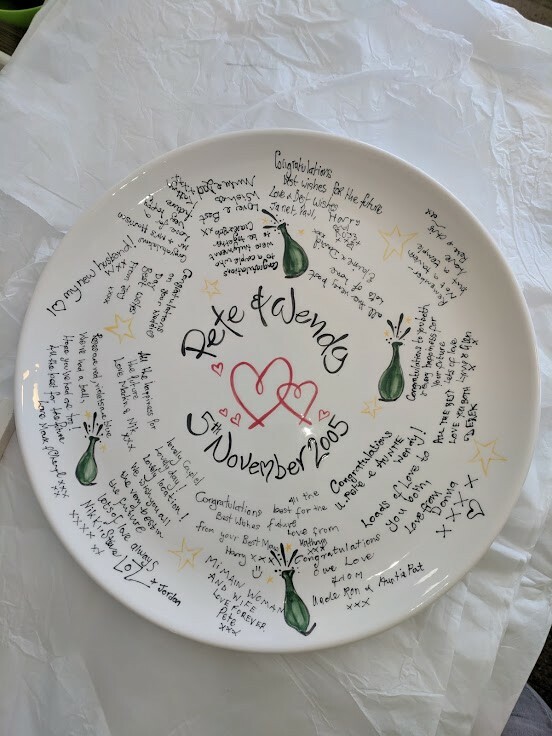 We can hand paint unique personalised wedding gifts – from Mr and Mrs coasters, mugs, plates etc to large keep sake plates and platters. 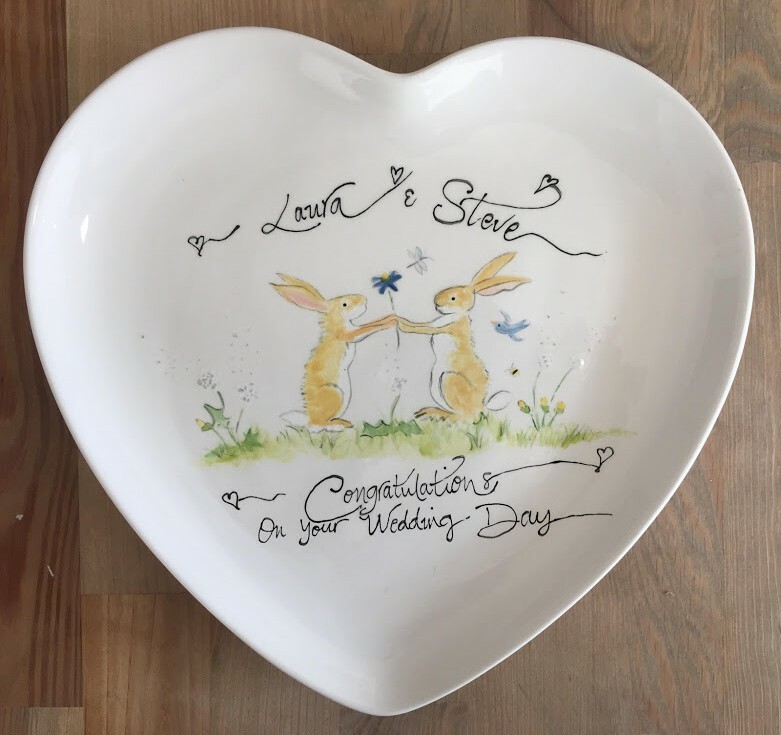 Have a plate with the design of your choice hand-painted with your wedding details and we also give you pens. 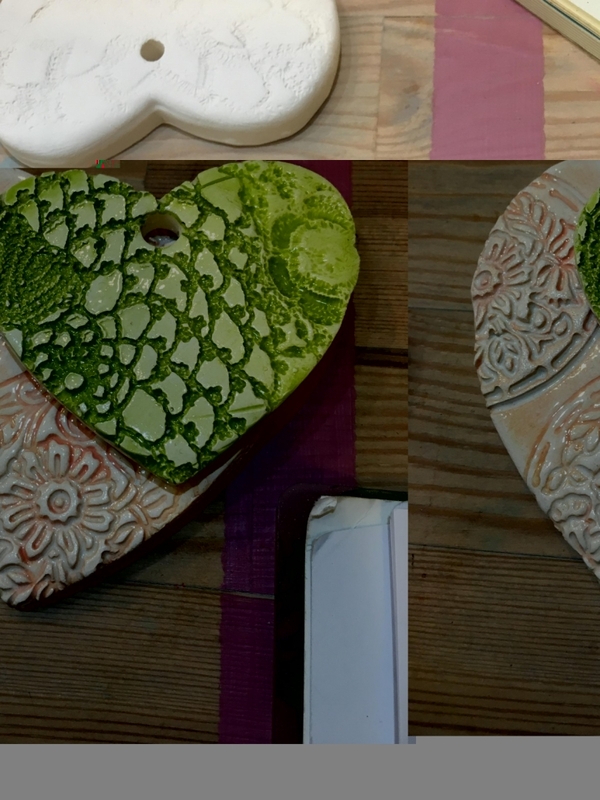 Available in a range of shapes and sizes with prices starting at £40. 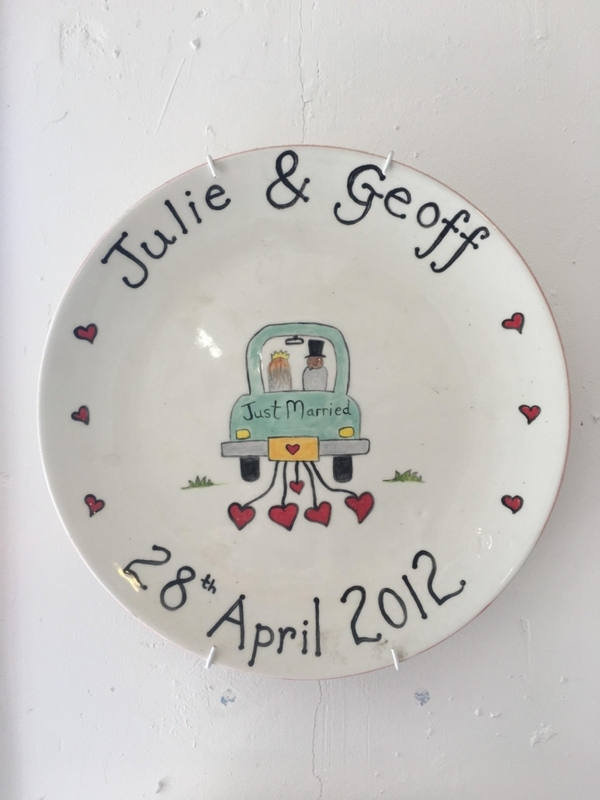 We can hand paint items for wedding favours for you. 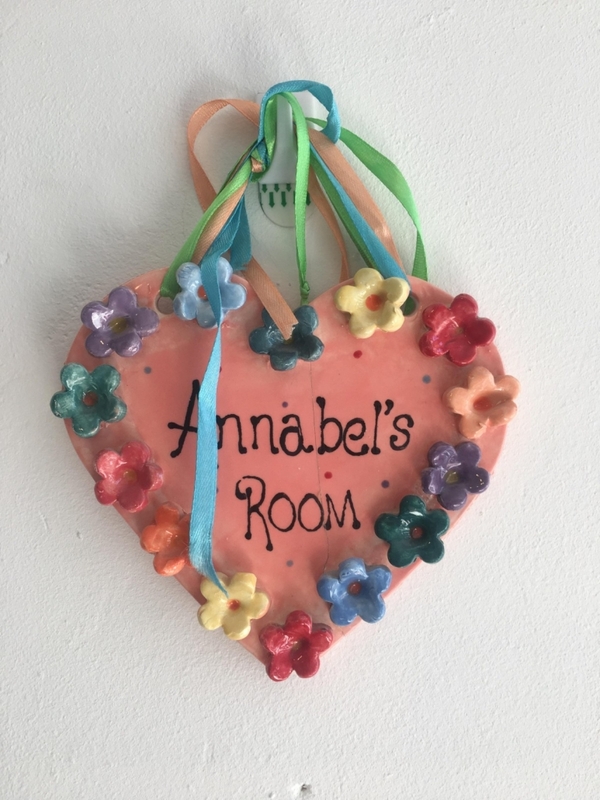 Popular items include coasters, place names and small hanging hearts with wording of your choice. 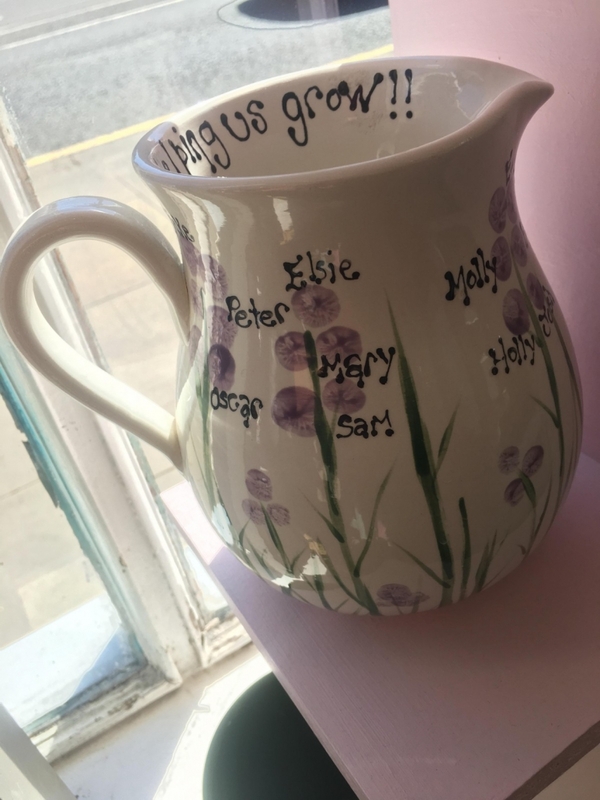 We have had some delightful couples coming in to hand paint pottery as special personal gifts for bridesmaids etc. 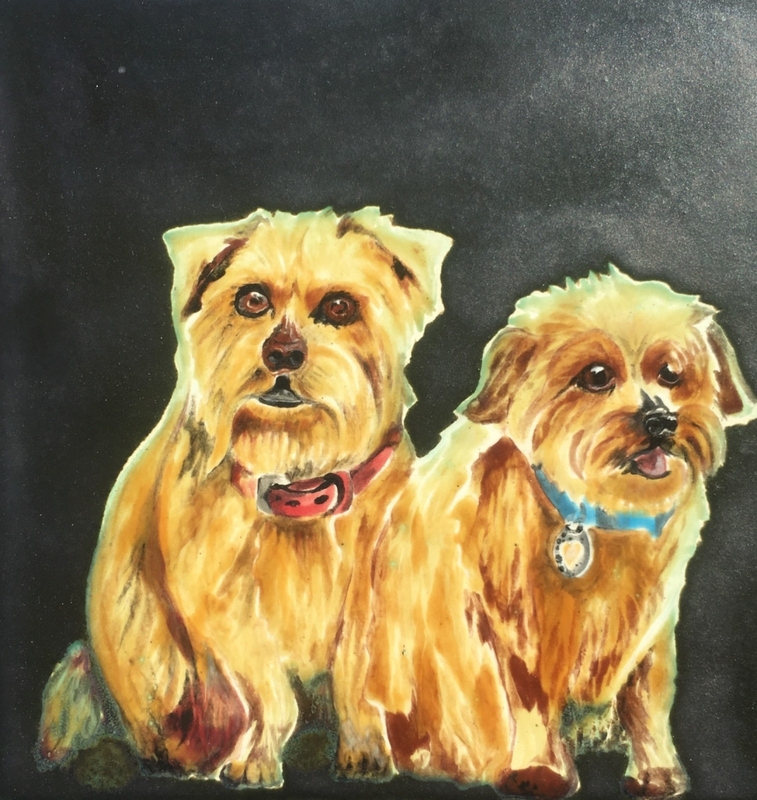 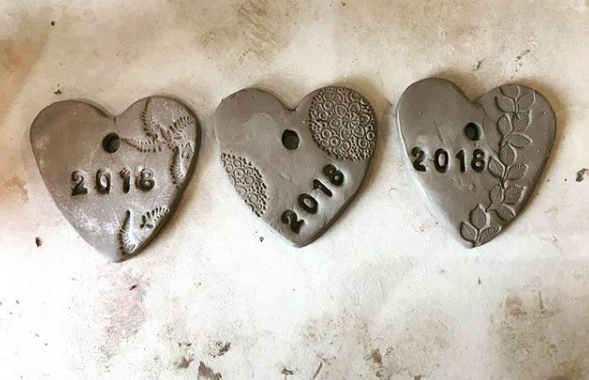 They have really enjoyed they their time together making such memorable items. 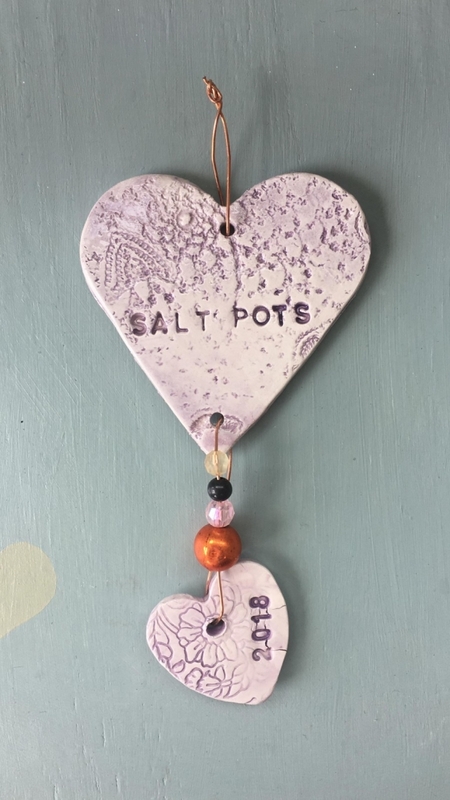 If you are looking for a creative hen do then Salt Pots will be perfect for you and your friends. 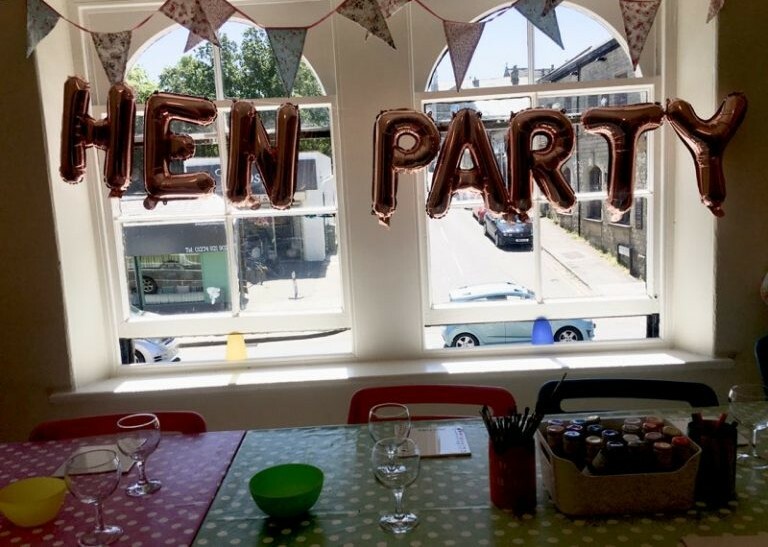 Bring a bottle or 2 of bubbly and have a relaxing couple of hours creating your masterpieces and memories. 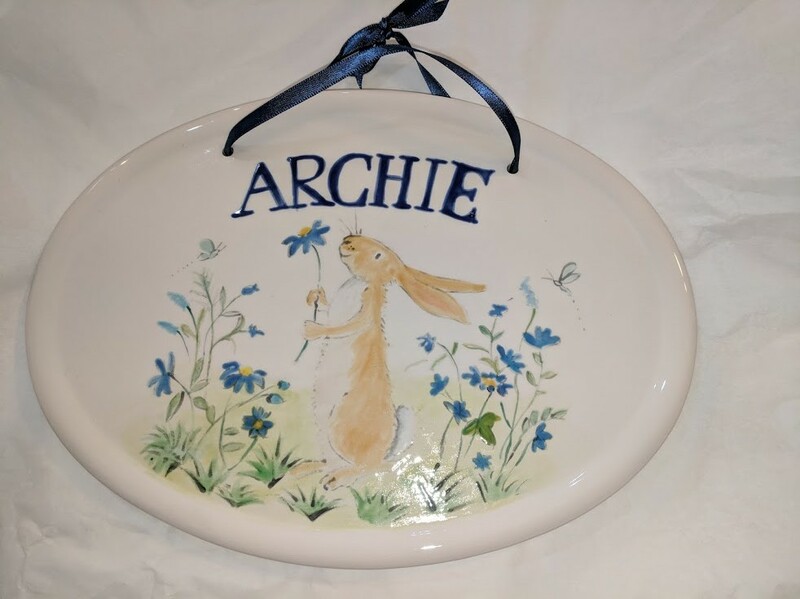 We have packages geared to suit your party and can provide specific pottery on request. 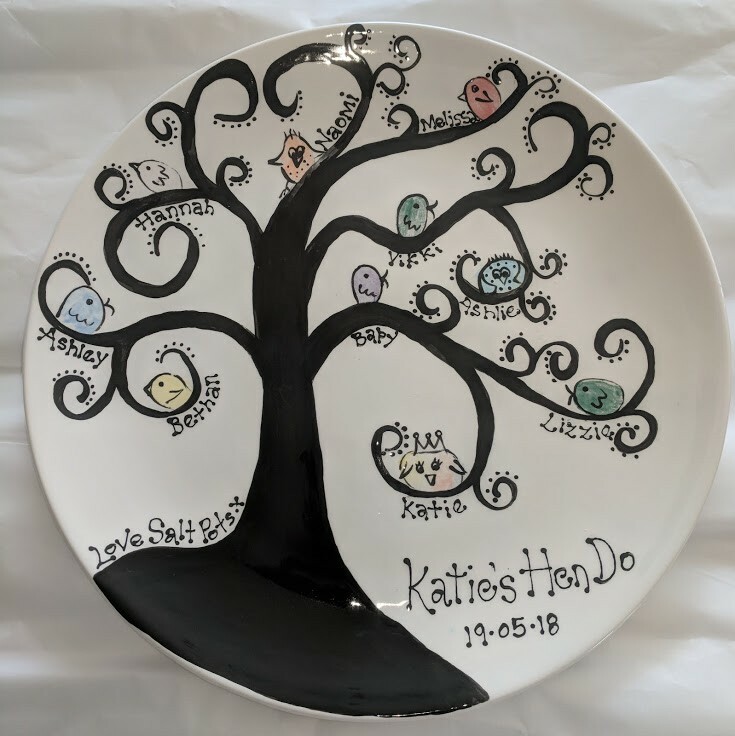 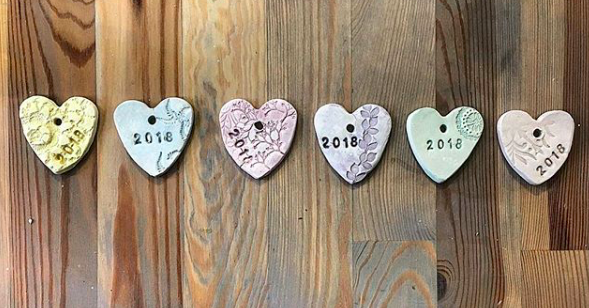 Paint an item of pottery each to keep or for the bride to be . 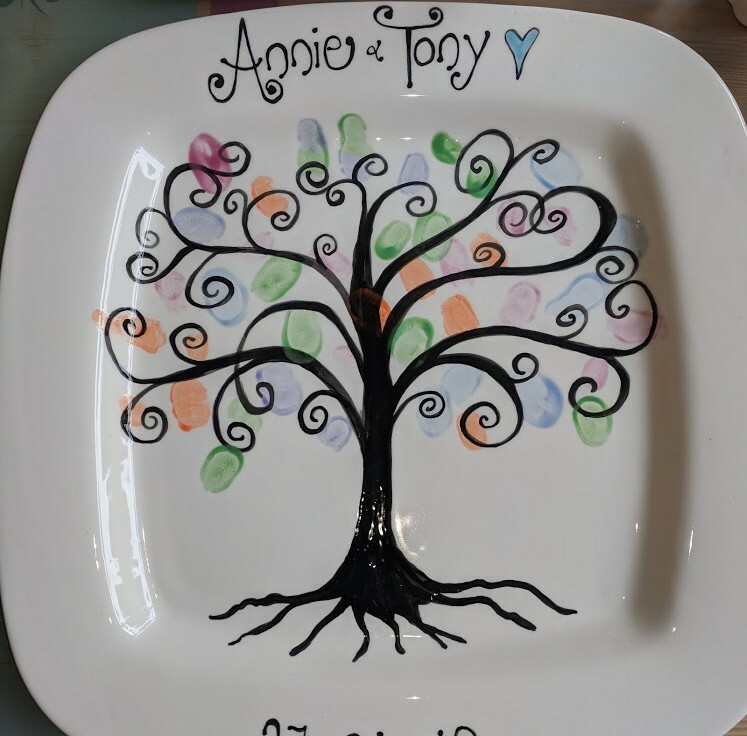 Popular packages include painting a breakfast set for the happy couple with everything they need for a hearty breakfast and everlasting memories of friends. 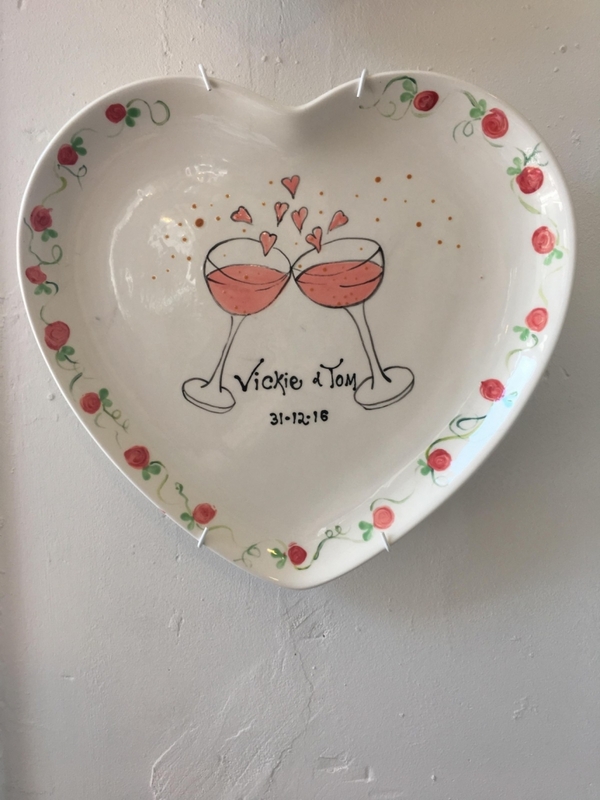 Packages start at £16 per person and include a keepsake personalised plate painted specially and signed by all the party goers.